Plastic roofing sheets are transparent panels typically manufactured from PVC. They are a popular choice amongst homeowners looking to reroof a shed or greenhouse. Many also use PVC roofing sheets as a low-cost rooflight for their garden building or garage. Due to their corrugated form factor, these plastic roofing sheets also provide superb durability with a lifespan in excess of 10 years. Have Questions About Our Plastic Roofing Sheets? If you have more questions about our range of PVC roofing sheets, simply speak to our team online or by telephone. With over 40 years of experience in roofing, we can help you choose the perfect solution for your project. We’ll also ensure you have all the appropriate fixings and flashings to achieve a professional finish. Buying roofing materials can be daunting, especially when ordering them online. With over 40 years of experience in roofing, however, we get asked lots of questions about our growing range of plastic roofing sheets. Here are some of the most common questions with answers for each! What is the Life Expectancy of PVC Roofing Sheets? PVC sheets typically offer in excess of 10 years life expectancy. 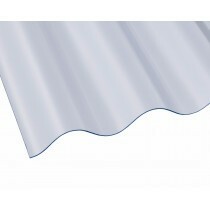 Vistalux sheets also provide a 10 year guarantee, providing you with added confidence in your choice. How Easy Are Plastic Roofing Sheets to Fit? 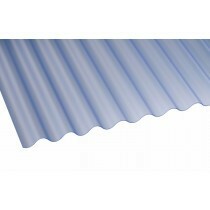 PVC roofing sheets are incredibly lightweight. This makes them wonderfully easy to fit, whrther it be by a DIYer or professional. They also require few fixings and flashings, making installation even easier. Can My PVC Panels Be Cut to Size? PVC roofing sheets come in a variety of standard sizes, but can't be cut to size. You'll often find that corrugated sheets are limited to 3000mm in length. This is as sheets larger than this may become fragile and will be difficult to fit. If you have more questions about our plastic roofing sheets, speak to our team online or by telephone. With over 40 years of experience in roofing, we'll help answer your questions and will ensure you have everything you'll need to complete your roofing project.